You think the Serenity is too small or too expensive? It appears to be a science in itself to get a “perfect pitch” of the Gatewood Cape. Why is it so hard to achieve? And how can one improve it? A couple of my outdoor friends use a Gatewood Cape as their shelter. They all have in common that it’s hard to get it pitched “perfekt”. A poorly setup Gatewood Cape forms wrinkles. One edge has to much downward tension, the other cannot be tied out as needed. Head and foot of the cape are too low. The sleeping bag gets soaked through contact with the wet outer cape. 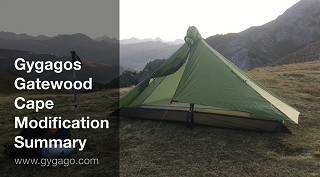 When using the Serenity NetTent as nest its side walls don’t get tensioned and straight; inner tent and fly touch at one or more locations. On uneven ground it’ almost impossible to retrieve a perfect pitch. Why is it hard to achieve a perfect pitch of the Gatewood Cape? The Gatewood Cape is a half pyramid and therefor has a rigid geometry. Each tie out point has a straight connection to the top as well as to the neighouring tie out points. By its geometry the cape can be pivot over its top only. You cannot tie one corner down or further outward without readjusting the other tie outs. However, ex factory there are only short tie out loops on the Gatewood Cape. That’s why you can’t move a peg as needed. e.g. to get around a stone in the ground. As a consequence, the geometry does not fit any more. 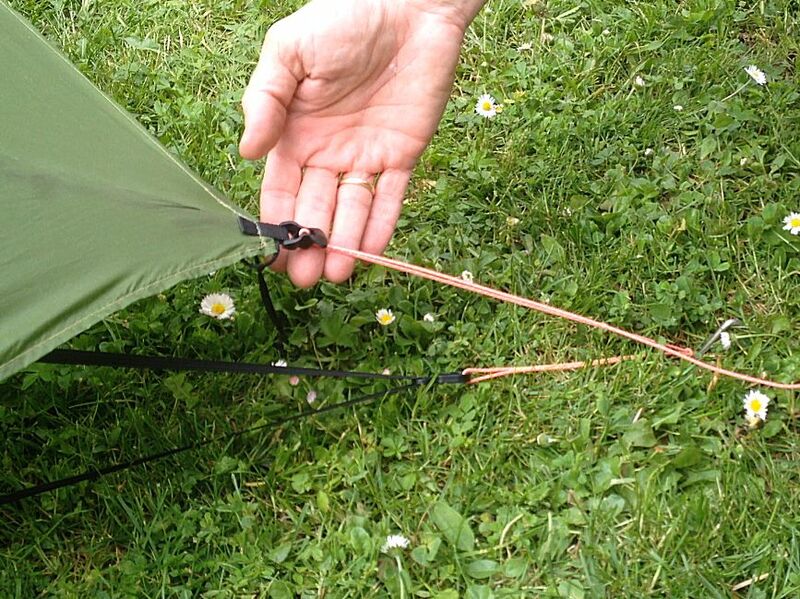 Confident determination of where to stake the tent pegs: In a dome tent the perfect setup is much easier because the ground of the inner tent defines the corners exactly. Take this into consideration with the Gatewood Cape and let’s try to set it up starting with the nest. Higher setup: This provides more room for the nest, but requires longer guy ropes. Guy ropes on the inner tent: 1 meter of Dyneema at all five tie out points of the nest. LineLocs instead of simple loops: I opened the five guy ropes and sewn in LineLocs. These do not interfere with the use of the Gatewood Cape as rain poncho but perfectly serve as tensioning for the Dyneema cord coming from the nest. A 6 inch extension loop at the harness to fill the gap between for the nest and the higher Gatewood Cape. Replacement of the front rope with 4 feet of Dyneema. How to setup the Gatewood Cape with Serenity NetTent nest after the modification? In the video I’ll show you how easy it is to setup the Gatewood Cape perfectly once it has been modified as mentioned above. 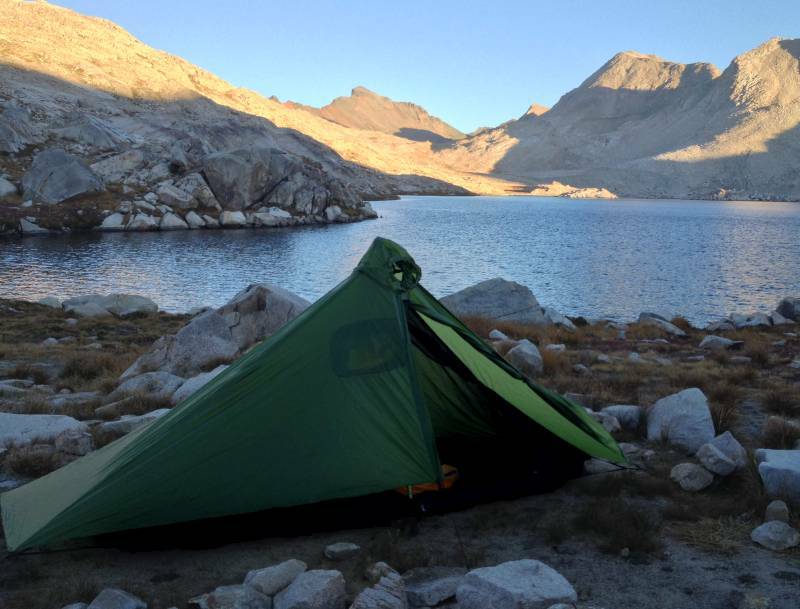 Note: In 2017 I switched the inner tent again. Click hier for a more recent video summary of the modifications. The trekking pole should not be vertical, but slightly angled. 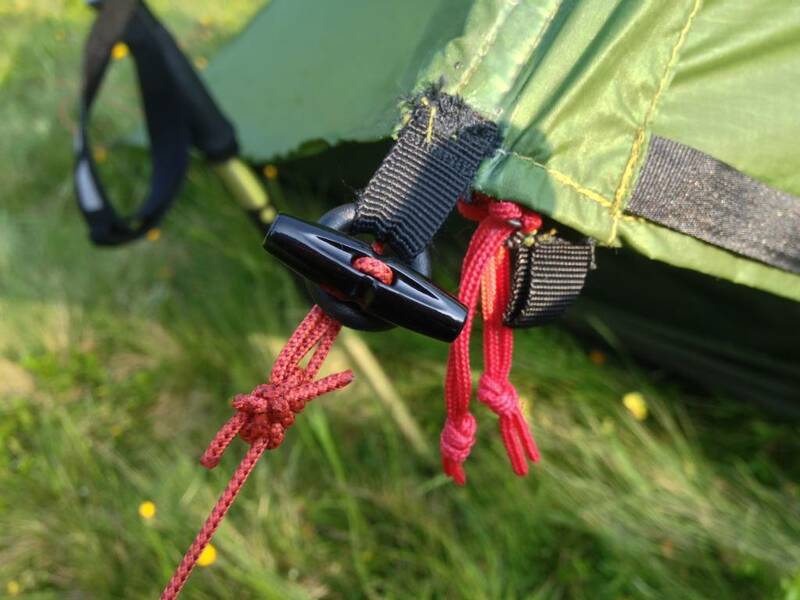 With the bottom of the trekking pole the nest gets its transverse tension and can easily be centered under the Gatewood Cape. 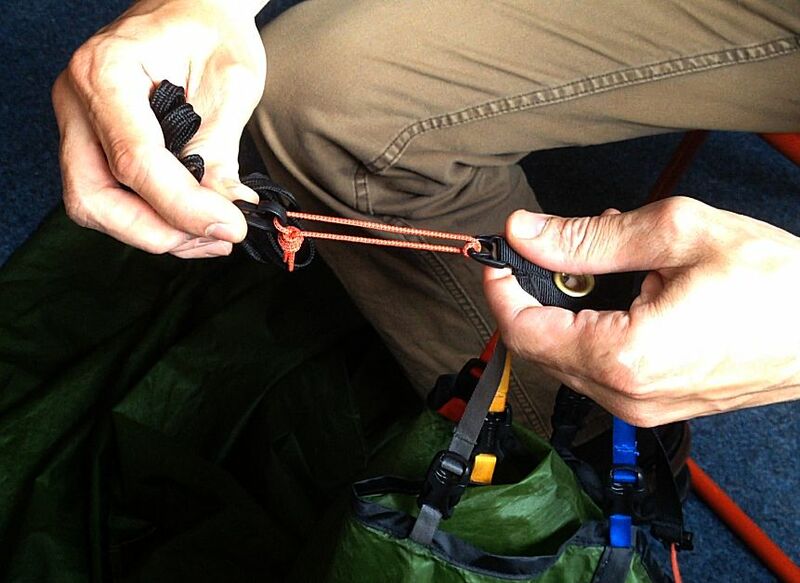 Further outward tent stakes and longer guy ropes allow you to arbitrarily pivot the cape by loosening one peg and tension the opposite side, simply using the LineLocs. Due to the prolonged ropes it’s pretty easy now to pitch the Gatewood Cape with small rocks (instead of or in addition to pegs). A great thing in the mountains or in high winds. There is no need to sew-in LineLocs on the Gatewood Cape. 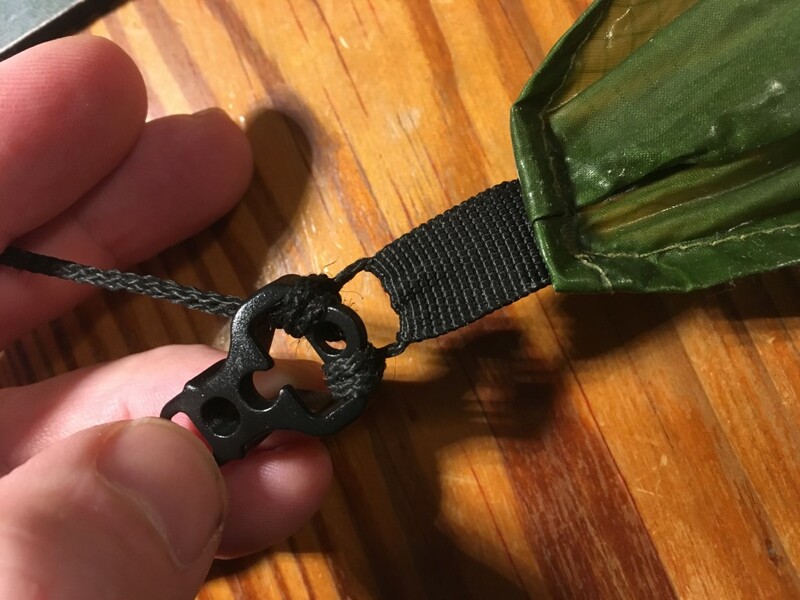 You can simply knot the Dyneema lines with an overhand knot to the existing loops. It’s totally up to you.